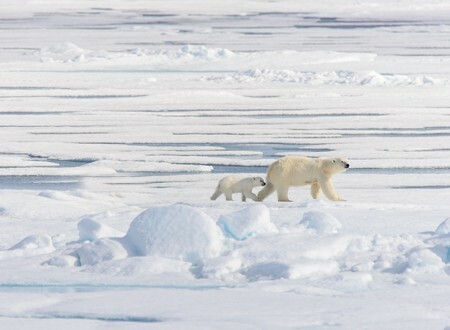 Weston helped mitigate the impacts of oil and gas activities on the polar bear population with expertise in operating and conducting Forward Looking Infrared (FLIR) surveys. As subject matter experts in operating and conducting FLIR surveys, Weston helped mitigate the impacts of oil and gas activities on the polar bear population and supported compliance with the Letters of Authorization granted by the U.S. Fish and Wildlife Service (USFWS) for the incidental, unintentional taking of polar bears on the North Slope. Towards this end, a FLIR camera was mounted on a fixed wing aircraft and used to detect heat signatures indicative of a bear’s bodyheat emminating from a den. For our Alaska client, we coordinated the survey flights, interpreted collected FLIR images, and worked with USFWS to ensure human-bear interactions were avoided. The Weston team also met with the USFWS to determine which areas to survey, developed electronic and hard copy maps for use during the surveys, and accompanied the USFWS on the FLIR survey flights to examine the areas of interest. We were able to successfully coordinate the FLIR surveys for polar bears in areas near our client’s oil and gas operations. With combined technical expertise and knowledge of North Slope oil and gas operations, Weston was able to provide the efficient production of a quality product on schedule.